Koreans have long coveted the Nobel Prize in Literature as poet Ko Un has been nominated for it over the past few years. The hope has created a media frenzy in which journalists wait for the annual prize announcement in front of Ko’s house. Ko might be arguably the most well-known Korean author in the world. But how many of his works which mostly deal with Korean history or abstruse philosophy have been read globally? Korean bestsellers are stories inspired by nationalistic and historic subjects but when it comes to the overseas market, it is totally different. 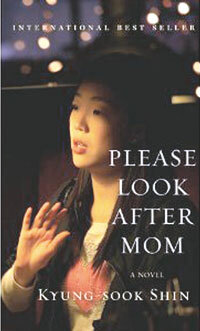 A few successful cases such as Shin Kyung-sook’s “Please Look After Mom,” and Kim Young-ha’s “I Have the Right to Destroy Myself” and Jo Kyung-ran’s “Tongue” show how Korean literary works can go global. All these works represented by Imprima Korea, a leading literary agency in the nation, have gained international recognition. “Psy is a good example of a cultural export. Familiarity and universality in his song ‘Gangnam Style’ enabled him to succeed in other countries. Korean literature should be approached like this. Foreign readers want contemporary and universal themes,” Terry Kim, COO of the agency, said in an interview with The Korea Times. Since opening the doors 20 years ago, the agency has focused on introducing foreign titles into Korea such as bestsellers “Outliers” by Malcolm Gladwell, “Cosmos” by Carl Sagan and “Your Best Life Now” by Joel Osteen. 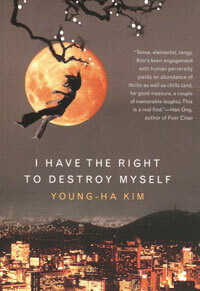 But from 2005, it began selling the rights of the Korean publications particularly literary works to overseas markets. After accumulating the know-how and skills of importing foreign literary works to Korea, the company knows the tastes of foreign readers. Historic and nationalistic subjects are shunned the most by foreign readers. “Many Korean bestsellers are turning to nationalistic and patriotic emotions or major historical events such as the Korean War. But nobody in other countries cares about such stuff,” he said. Instead, universal topics that have a close connection to contemporary senses found in Shin’s novel are the most sought-after items by foreign literary agents. But as “hallyu” (the Korean wave) is becoming a universal phenomenon in the world, some unique elements from the Korean identity mixed with mystery genre are likely to appeal to foreign readers as Shin shows in her work. “Shin’s case is very meaningful in that it was published through a major publisher (Knopf) of the United States which is regarded as the largest market with worldwide networks with the highest price. Once infiltrating into the U.S., it is easier to make inroads into other parts of the world,” said Kim. Shin’s novel has been sold in more than 20 countries. 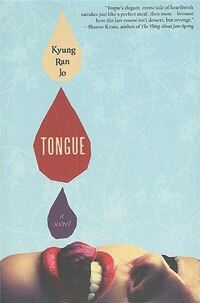 Before Shin, Kim’s and Jo’s fiction was regarded as pioneering works which gained positive reviews in the U.S. and European markets in 2005 when contemporary Korean literature was almost unnoticed in the world. However, the agent said that it is a pity that now there are few literary pieces to be introduced in other countries after Shin’s blockbuster hit. “The domestic publication market is now suffering from the lack of bestselling literary works like Shin’s novel. But at the same time, we might fail to discover hidden literary gems due to the current structure of the publication industry dominated by trendy genres,” he said. Many publishers tend to generate similar books such as “healing” essays or self-help books, from some 10 years ago. “Such a trend seems to hamper discovering talented authors and quality works. Discovering a good work here is crucial for exporting literature to other countries,” he said. As many critics point out numerous times, finding skillful translators is the most daunting task particularly when it comes to translating literary works than any other genres. “It is obvious that if Koreans, even if they are superb in English, translate literary works into English, it seems very awkward to read for English-speaking readers. It is best for native English speakers who have a good command in Korean to translate them,” he said. Japan has a translation agency with a large pool of veteran translators but Korea lags behind in training literary translators. There are only a handful of experienced literary translators such as Kim Chi-young who worked on Shin’s and Kim’s novels. “Even if there is a good story, if not properly translated, it can’t be sold from the start. Even just the rough draft translation for the introduction of the book is very crucial to appeal to the foreign agency,” he said. When exporting literary rights to other countries, the agency plays a key role in representing authors and their works for foreign counterparts. In Korea, the literary agency is less known as many publishers are doing this with their in-house teams. However, it is important to use a local literary agency to gain access to worldwide networks and to protect the rights of authors. “By individual, Koreans are extremely well-performing in various fields. But most of them are unnoticed because the system doesn’t support them well. We are helping them gain the right appreciation both at home and abroad,” he said. Kim said that this job is already well-known in other advanced countries but in Korea it is beginning to be noticed since Shin’s novel. 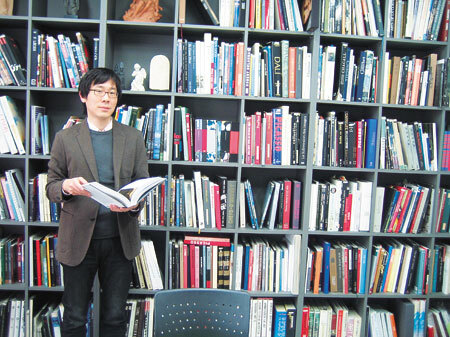 “This is a promising job in the future as Korean literature has yet to be well known to other countries,” he said. The agency not only introduces established authors to overseas markets but also discovers potential or rising authors and helps them debut on the world stage. Now the company is preparing to make rising author Yoon Seo-jeok’s work debut in the foreign markets. Yoon’s “Seoulite Affair” is set in the nation’s capital and the plan is to make it into a film first.